I've seen several funfetti cake recipes on Pinterest recently, all of which look amazing, and so I thought I'd give it a go myself. It makes a simple sponge look much funner with lots of coloured sugar strands throughout the cake. As all the recipes on Pinterest were American and used cups as a measurement, I used a Victoria sponge cake recipe instead and added about 3/4 of the pot of sprinkles to the mixture. The sprinkles are added in last after the cake mixture has been made. Then once you have buttered the baking trays, split the mixture into two and bake for between 25-30 minutes. Next is the butter icing, I used 5oz of butter with 10oz of icing sugar to make the one below. Make sure the cakes are completely cool before spreading on the butter icing as the butter will begin to melt otherwise. Turnover one of the cakes, and spread a thick layer of butter icing on the top before placing the other cake on top (this is the middle of cake). Then you can begin on the outside of cake by spreading a thin layer of icing all over the cake. Otherwise known as a crumb coat, this thin layer will pick up all the crumbs from the cake before you add the final top layer of butter cream. Once you have done the crumb coat, pop the cake in the fridge for roughly 10-minutes before adding the second layer. Then you can decorate it however you wish, but being a funfetti cake I choose to decorate it with even more sprinkles! Thank you Amy, I thought that too especially with red/pink sprinkles. Although I've got lots of recipes to try out for valentines! Just like any other baker, I love to bake whenever I can. Cakes, biscuits, crumbles, brownies, cupcakes - in fact anything sweet that can be coated in glitter. I'm always trying out new recipes, so I'll try to share as many as possible. 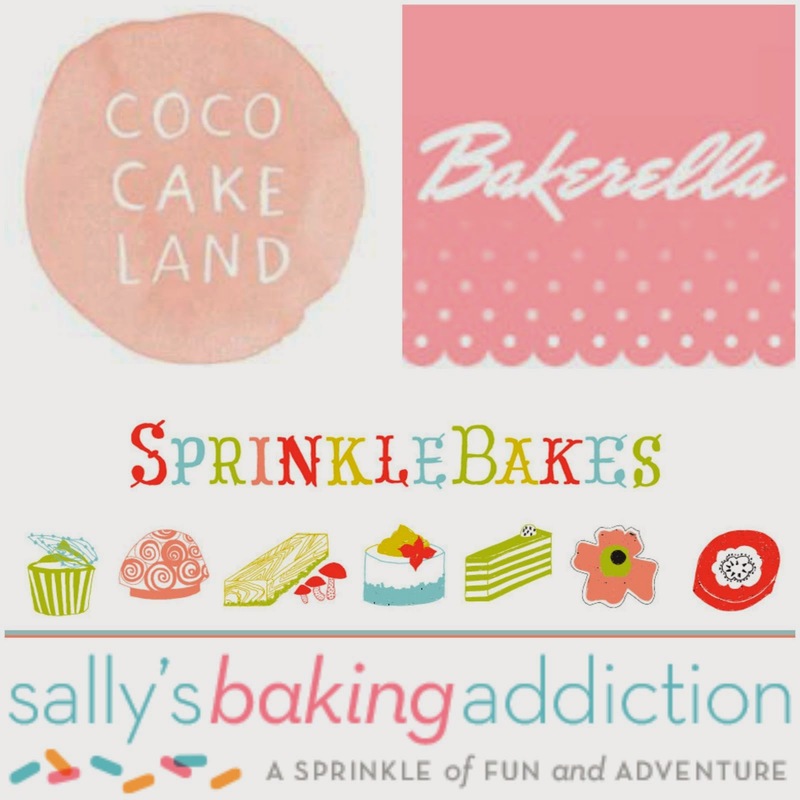 Coco Cake Land, Bakerella, Sprinkles Bakes and Sally's Baking Addiction. Each one is full of creative recipes and new baking ideas worth trying out. Visit Beth Eastwood's profile on Pinterest.